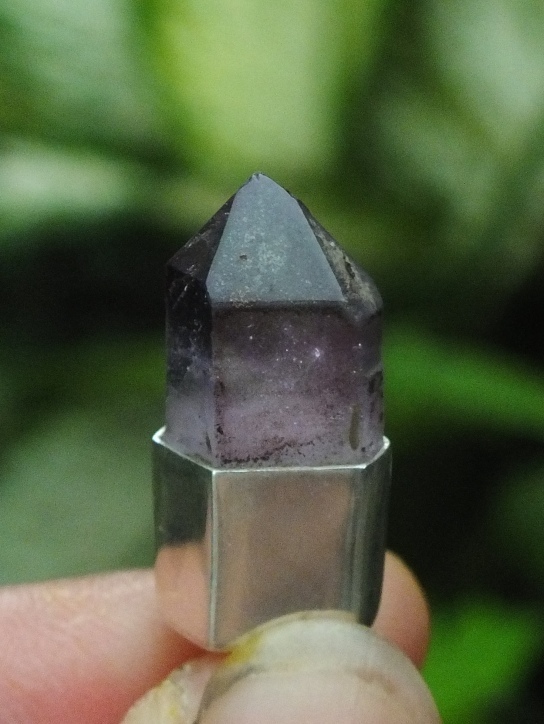 This is a very nice Natural Amethyst Crystal Pendulum. 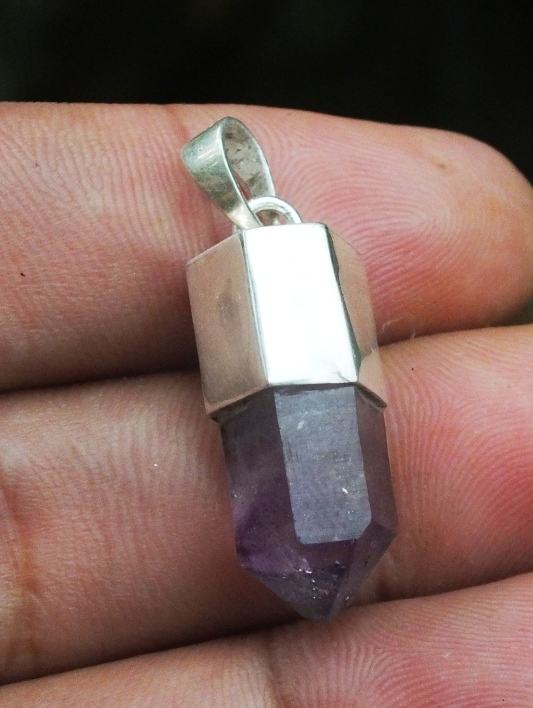 The Crystal is already set on a good handmade Silver Pendant. 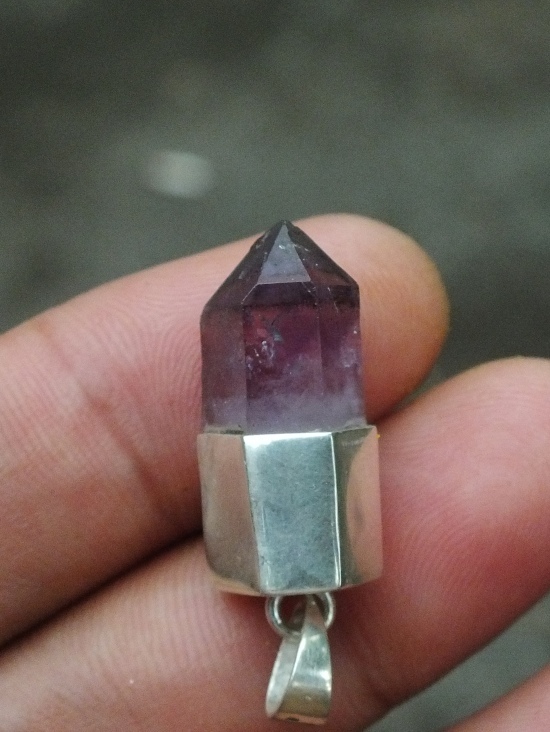 The size of the gems is (est) 23mm x 10mm x 8mm. 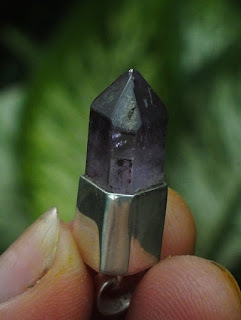 The shape is original non polished! 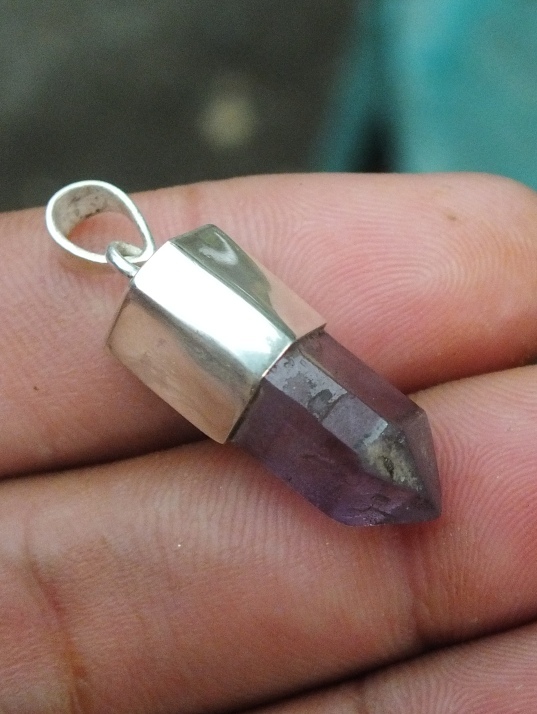 Get this beautiful Natural Crystal Pendant Now! !